Katamarayudu is the most anticipated and awaited film of Power Star Pawan Kalyan has hit big screens on Worldwide on Friday, March 23rd and the premiere was held on March 22nd. This film was directed by Dolly. After the lukewarm response to Sardaar Gabbar Singh, Pawan took some time off and is now back with a family entertainer called Katamarayudu. The film is the remake of the Ajith starrer Veeram and has Pawan playing an elder brother to four of his siblings. As every know Tamil Veeram story line, Katamarayudu is mass entertainer run on village backdrop. 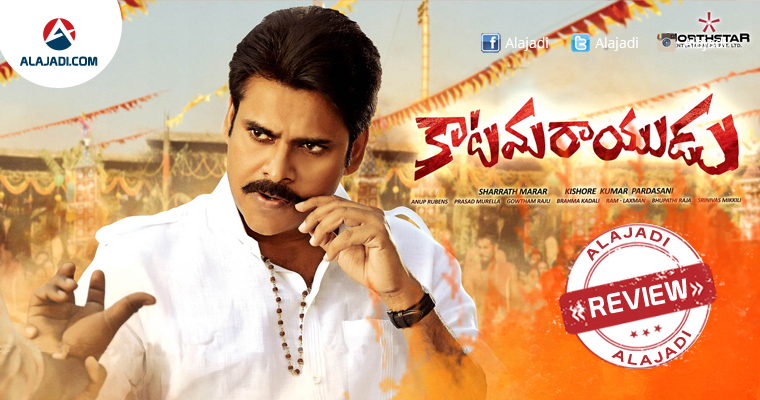 The story revolves around the Pawan Kalyan who stands up for the people he cares by putting his life on the line. He has raised his brothers (Ajay, Siva Balaji, Kamal Kamaraju and Chaitanya Krishna) single handedly. And in this story his love interest role was played by Shruthi Hassan. But when the situation forces Pawan Kalyan to put down his arms for the sake of love, will he do it?. This is big festival for power star fans. This movie is totally based on mass entertainer run on village backdrop. His dressing style grabs audience. And intro scene was highlight in this movie. Although it is remake film Tamil star Ajith, got good response in Telugu states. It is full on commercial entertainer which will be plenty for Pawan Kalyan fans and the family audience. The pre-release business is huge as the film has been sold for good prices all over. 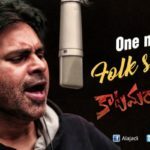 Pawan Kalyan: As we know about power star. His dressing style, punch dialogues, high octane action sequences and all the right dance moves will entertain You. Shruti Haasan: She looks gorgeous and gave award-worthy performance. Shiva Balaji, Ajay, Chaitanya and Kamal Kamaraju are well cast as brothers. Ali after a long time gets a good comedy role and he does his part well without resorting to any innuendos. Pruthvi has got a role that has Brahmanandam written all over it. He is fine. Rao Ramesh’s characterization is hilarious, and he has done an equally good job. Nassar is alright. Pradeep Rawat and Tarun Arora are okay. Directed by Kishore Kumar Pardasani who was popularly known as Dolly. It is produced by Pawan’s Best friend Sharrath Marar under the banner North Star Entertainment. The songs and background songs also the plus points for the film, composed by Anup Rubens. Director has made the film for Pawan Kalyan and the mass audience. Overall it is a paisa vasool movie. The storyline may not be new for Tollywood cinema, but the director has tailor-made it for Pawan Kalyan and the mass audience.Pawan Kalyan gave One of the Best film & Performance ! He is Back with Bang ! His Fans will go gaga over him. Go And Watch Film In Theaters This Friday Blockbuster.